A pair of khaki shorts should be a staple in everyone’s lineup, and these versatile Wrangler Riggs Men's Dark Khaki 3W320 DK Ripstop Carpenter Shorts are an ideal choice. On the job, off the job, running the kids around town, or just enjoying some downtime, they' ... (see full details) (see specifications) #WRG3W320DK. A pair of khaki shorts should be a staple in everyone’s lineup, and these versatile Wrangler Riggs Men's Dark Khaki 3W320 DK Ripstop Carpenter Shorts are an ideal choice. On the job, off the job, running the kids around town, or just enjoying some downtime, they're easy to wear and durable, too. Made with highly wear-resistant and comfortable 10-ounce 100% cotton Ripstop fabric, these short khaki pants can take what you and your day dish out. And that's just the beginning. They're constructed with triple-needle stitching, a #5 YKK brass zipper, and 3/4-inch by 2 1/4-inch belt loops made to stand up to sturdy belts. They've got plenty of pockets -- an oversized watch pocket plus deep front pockets made with 7.25-ounce pocketing, and the right front pocket features a patented reinforcement to hold your tape measure without damaging the edge of the pocket. The back pockets are designed for durability, too, reinforced at stress areas and lined with 1000-Denier Cordura® fabric. Rounding out the carpenter styling, these men's shorts feature a utility loop and tool pockets. Whether you're working or running errands, you'll appreciate the relaxed Room2Move® fit and the action-gusseted crotch that delivers ease of movement when you bend, stretch, twist, kneel, and squat. Styled in dark khaki, these men's shorts will go with just about everything in your closet, and the generous 10-inch inseam is a perfect length for all kinds of wear. Add these Wrangler Riggs Men's Dark Khaki 3W320 DK Ripstop Carpenter Shorts to your wardrobe, and you'll be ready for just about anything. Order today from Working Person's Store! Deep pockets, rugged material, roomy fit and all around good to work in, also you look professional wearing these shorts and not like a bum with the loose jersey shorts on. What else can I say about these shorts? They get better with each wash the material gets softer with each wash. They also do not shrink in the wash. The leather tape measure patch is great so you wont wear out your top pocket. I do wish they would add a pencil pocket just in case you wear these with a T-shirt. Other than that no complaints and would recommend these Wrangler Shorts. I wear these all summer. I have several pairs in many colors. They fit great, wash well, and are comfortable. Shorts have many pockets and all are useable. Hammer loop comes in handy. They also have button closed pockets, great for not loosing your wallet, as well as regular pockets. The regular pockets are very deep and hold a big phone no problem. Two small open pockets on the right leg great for holding your knife that has a pocket clip. These shorts are very comfortable because they are lighter yet still very durable although you loose the extra storage pockets. I've had them for over a year now with regular use and they're still in great shape with no tears, holes and the pockets are holding up well. I would buy these shorts again when I'm in need of another pair. I am a builder and only wear Riggs pants and shorts. Great product that lasts and lasts. This company adds to that with great prices and good service. It takes me a few years to wear a pair of these out. I have read elsewhere that focus groups suggested the use of military type material due to durability. Try a pair you won't be sorry. 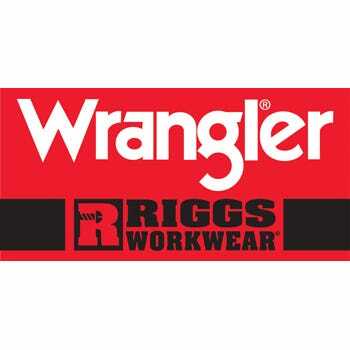 Wrangler Riggs Shorts: Men's Dark Khaki 3W320 DK Ripstop Carpenter Shorts is being added to your cart.